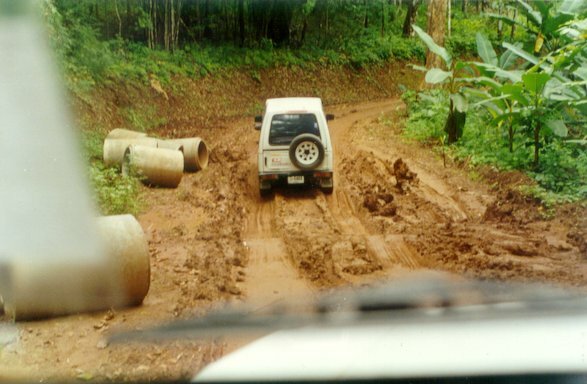 Navigating over a mountain through the jungle is not always easy. On the way to visit Na-Loa-Mai village and church, a change of one vehicle was necessary. The one we had the day before did not have a large enough engine. Eventually this road will be paved all the way over the mountain but their primitive methods of road building means it will take a long time. 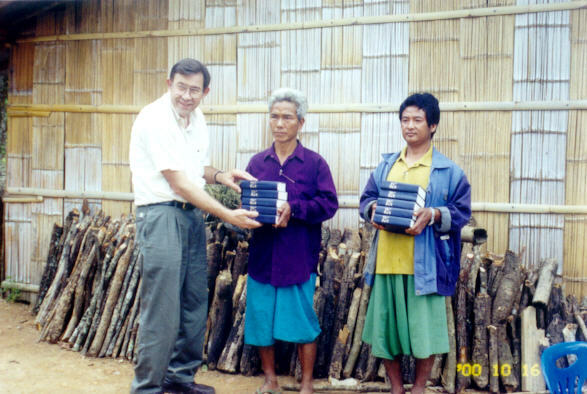 Pastor Wayne Camp presenting Bibles in the Li Su language. Na-Loa-Mai is a Li Su village. These are two brethren in the church. The pastor was not present when we visited here. His wife gave birth to a child the night before and he was with her.